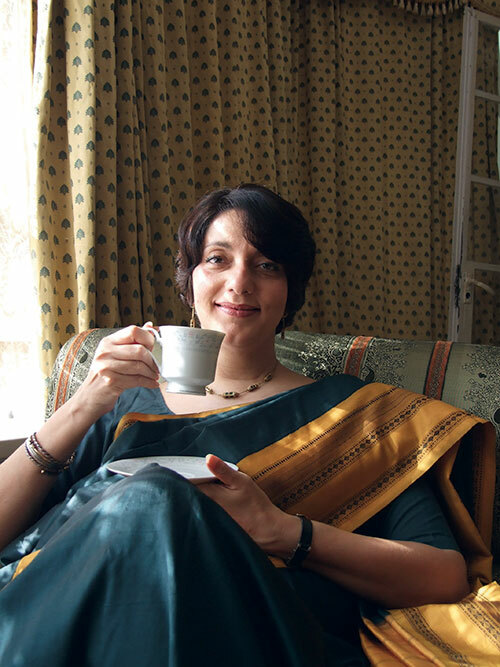 Perhaps the only truly surprising thing about Meera Sanyal, top banker taking a sabbatical from big business to contest elections in South Mumbai, is that she is the first person in a long, long time to do so. Enterprise is to Mumbai’s political psyche what lineage and class are to other parts of the world. We take money seriously and the management of it very seriously. It’s one of the reasons we take so much comfort in bouncing back to work the morning after a catastrophe: we’re in touch with something fundamentally important to us; we’re on top of things. It’s one of the reasons why we have been inclined to extol the values of corporate governance in the wake of the political breakdown after November’s terror attacks. It’s one of the reasons why Sanyal is in Café Leopold on a sweltering March afternoon, where something began on the night of November 26 that is still going on in some part of the city’s consciousness. We’ve always believed in our exceptionalism: because we pay the most taxes, speak the most languages, bring in the most money, live the most vital and hurried lives, we believe this should not have happened to us. November’s attacks shook that out of us once and for all. On those days, we all learned what it meant to be anonymous and to live in an area of darkness. Some of us may comfort ourselves by identifying the problem as one of bad execution – correctible with a basic change of personnel – instead of outright bad policy, but Sanyal disagrees, and proves it. “We paid 91,000 crores in tax last year,” she points out. “Of this, less than 3,000 crores came back to be invested in city infrastructure. Something is going wrong here.” And it’s the fundamentals that concern Sanyal. Her political agenda proves that her basic motive for contesting elections is a massive, planned infrastructural reform of the institutions that the city leans on – the transport system, security, and local government, among others. There are clear short-term benefits to greater corporate involvement in politics. Most of us think of them in terms like efficiency, transparency and resourcefulness. To Sanyal, it’s also a personal issue, and she owns her ‘corporate’ tag matter-of-factly. “People say I’m a Malabar Hill elitist,” she says. “Look, there are only 200 public toilets in Mumbai. If changes that are going to benefit everyone in the city, especially the 18 million commuters in this place, haven’t been made, it’s not elitist of me to oppose that, is it? If it seems like people don’t know or don’t care about changing this, and I do, how does that make me elitist?” It makes her a concerned citizen, certainly, and one who is qualified, with all her experience and training, to get the wheels moving on urban planning. But does her candidacy reassure the vast number of Mumbaikars who live outside the middle-class experience, to whom infrastructure matters most and is available least? Mumbai has wanted change for a long time, but never quite so badly. Historically, radicalism has done poorly in the city. To Mumbai, change is a process, not a policy. We don’t want to blow up what doesn’t work; we just want to repair it and move on. That worldview, the fix-it approach, is evident in the way Sanyal thinks about the city itself. By reforming the engines of its progress, the cogs in the wheel become better people. The machine becomes a better city.